This season we present the perfect winter warmer from Barbour’s AW/2016 Spirit of Adventure collection. 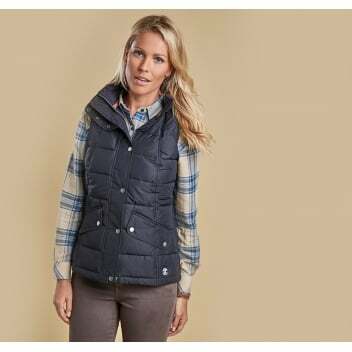 Barbour has used elegant robust construction and materials, yet beautifully styled with horizontal quilting and body seams which charmingly outlines the feminine figure. A multi studded throat tab, with a gorgeously cosy fleece lining will most definitely keep you warm on those chilly days. This is Barbour at its winter best.